Gardenia Cream Roll TXT to WIN Promo - Triple Joys!!! 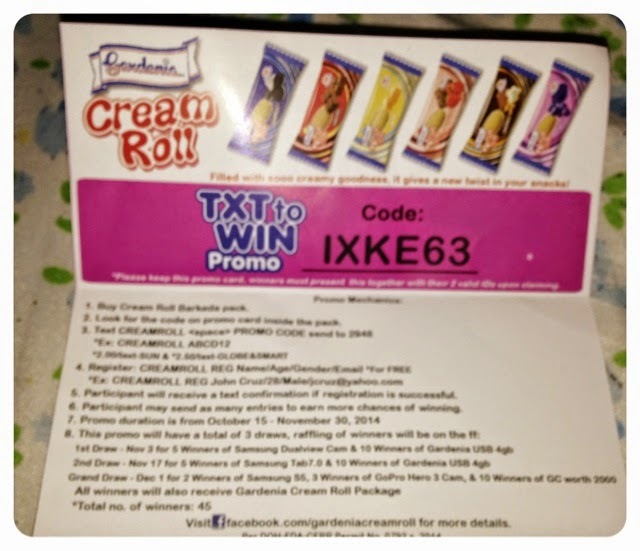 Aside from the scheduled Happy Bread Day on October 18, 2014 at the Music Hall of Mall of Asia, Gardenia still has another promo for all its loyal consumers - the Gardenia Cream Roll TXT to WIN Promo! 1. 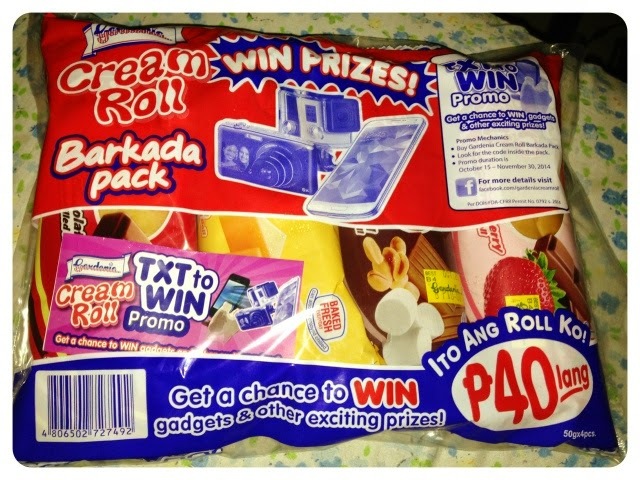 Buy Cream Roll Barkada Pack. Each pack costs P 40.00. 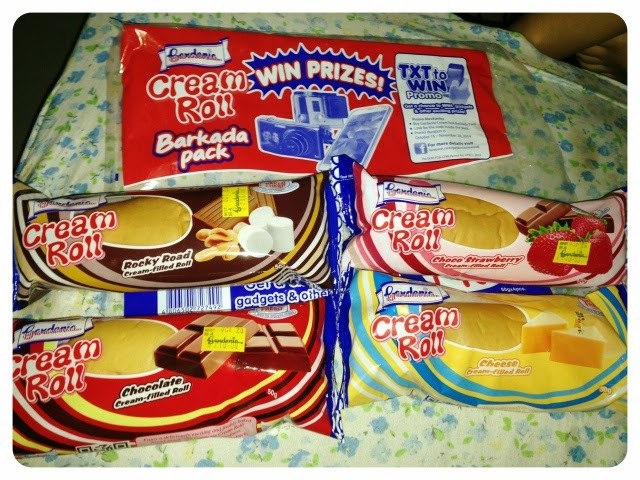 Each pack contains four assorted flavors of Cream Rolls. 2. Look for the code on promo card inside the pack. 3. 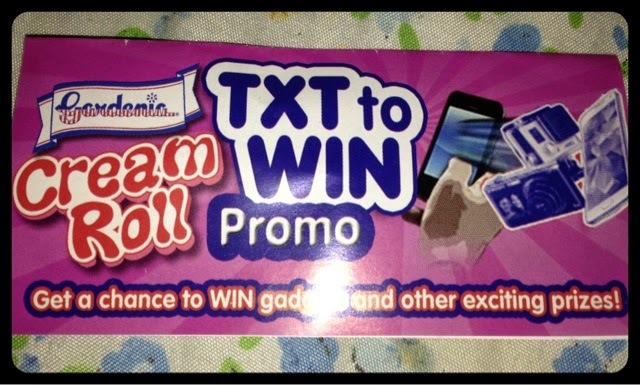 Text CREAMROLL <space> PROMO CODE and sent to 2948. 5. Participant will receive a text confirmation if registration is successful. 6. Participants may send as many entries to earn more chances of winning. 7. Promo duration is from October 15 to November 30, 2014. There will be a total of 45 winners for this promo, don't miss the chance to be one of them! 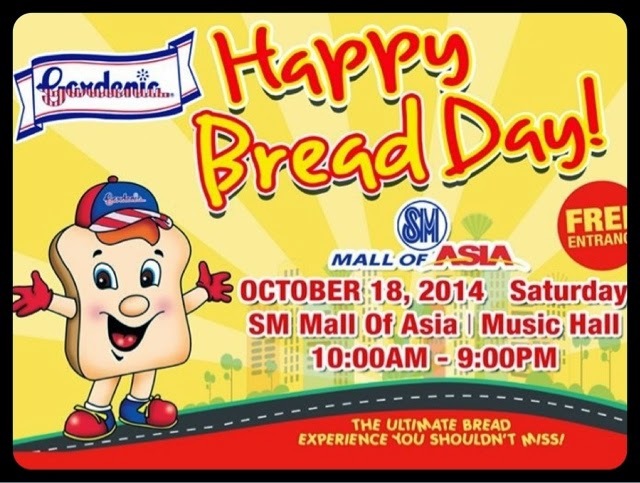 But for the mean time, do mark your calendars now so as not to miss the ultimate bread experience happening at the Happy Bread Day Event this coming Saturday!